Fixed rate or Variable rate mortgage? Buy direct from your bank or go to a mortgage broker? 1. How much deposit will I need? Most lenders are looking for a minimum 5% deposit at the moment so on a purchase of £100,000 you would need £5,000. However through NI Co-ownership you may be able to purchase without any deposit. Contact us for full details. Typically at the moment 4.5 times salary would be around the maximum available from most lenders but this is then cross checked through an affordability calculator which may restrict your borrowing capacity further. Bear in mind that you are committing to your mortgage for a long period so you must be satisfied that you are comfortable with the monthly costs for the foreseeable future and allow for rate increases where possible. Even if a lender would be willing to lend, say £150,000, you may be better to look for properties in a lower price bracket so as not to over stretch yourself. Legal Fees: This is the fee payable to your solicitor for they work they undertake on your behalf and is usually payable prior to the purchase completing. Typical fees for a £100,000 purchase could be around £900 including the solicitors fee, outlays, search fees and VAT. If you are both buying and selling there will be a fee for each aspect. Valuation Fees: When you apply for your mortgage the lender will organise a basic mortgage valuation on the property. Whilst some lenders include this free of charge others will charge you up front for it and typical costs could be in the region of £250. Bear in mind, if you pay for it and the sale doesn't go through you will have lost that money. Also remember that this is only a mortgage valuation and you may be wise to instruct your own more detailed 'Homebuyers' survey to avoid costly surprises once you move in. 'Contact us' for a quotation. Arrangement Fees: Most mortgages now come with arrangement fees which can vary from very little to £1,000+. You must check that the fees you will be charged do not make the particular deal more expensive than one with a higher rate but lower fees. In the majority of cases these arrangement fees can be added to your mortgage balance but you will be charged interest on them over the term of your mortgage. Broker Fees: We do not normally charge broker fees for our advice but many other mortgage advice companies or financial advisors do. Be careful. If you are to be charged a fee it should be made clear to you in writing at the very first meeting. Also be careful as some companies say they don't charge a fee but then attach a condition 'provided that you arrange a suitable life insurance policy with them' which is often from a restricted choice of insurers and can cost you much more than it should. 12% on anything over £1.5 million. (For example a purchase at £100,000 will not incur stamp duty. At £175,000 the duty will be £1,000. And at £275,000 the stamp duty will be £3,750). Rates for Buy to let or second homes are typically 3% higher with effect from April 2016. 4. Fixed rate or Variable rate mortgage? Many buyers want the security of knowing what their monthly mortgage costs are going to be in which case they should lean towards a fixed rate which fixes the monthly costs for a period of years regardless of what underlying interest rates do. Where buyers expect interest rates to fall they may prefer a variable rate which will fall or rise every time there is a Bank of England interest rate change. If rates remain low this will be of benefit to these borrowers but if rates increase they may wish they had chosen a fixed rate for the protection that it offers. Advice, Advice, Advice has to be our recommendation. You must understand the pros and cons of both options and do what is right for you. 'Contact us'. The Northern Ireland Co-ownership scheme has enabled many buyers (mostly First time buyers) to get on the property ladder. Under this scheme you arrange a mortgage on part of the property and Co-ownership provide the remainder of the purchase price (in exchange for a modest monthly rent on this share). Often no deposit is required reducing the up front costs to you. If the property goes up in price Co-ownership own a set percentage of the property and will be entitled to that money back if you sell the property in future. You can of course buy out Co-ownership at any stage if your circumstances allow you to do so either by increasing your mortgage or paying back a lump sum. As always 'contact us' as advice is the key to understanding the pros and cons of this scheme. 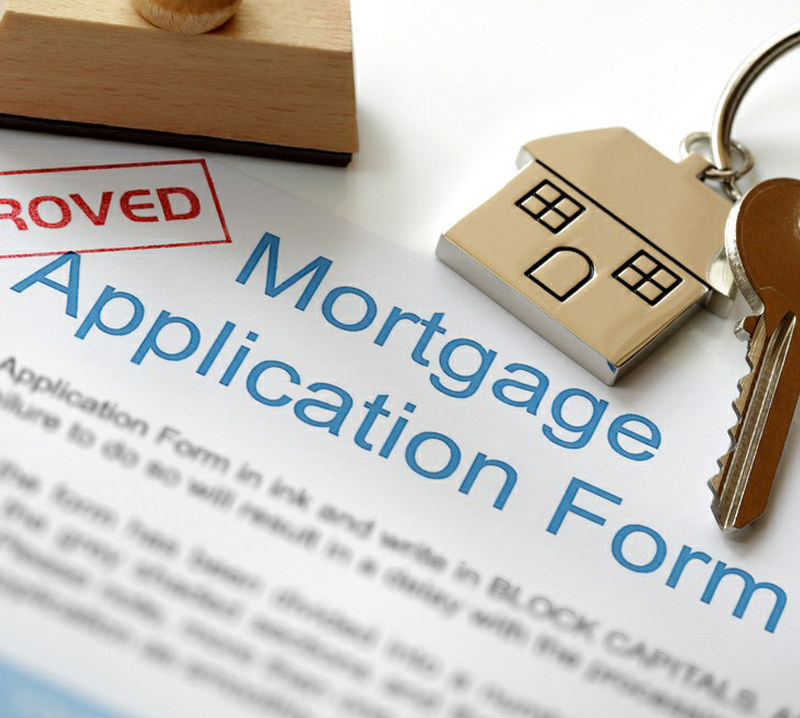 A mortgage is the biggest financial commitment that most people will undertake in their lives but you shouldn't fear it provided that you have thought it through properly from the outset. There are also insurance products available that needn't cost the earth but can provide you with much needed protection should your circumstances change e.g. if one party to a joint mortgage dies during the mortgage term or if you are taken ill and are unable to work or pay your mortgage or if you are made redundant and are unable to pay your mortgage. Additionally it is important to arrange Home insurance for your property and contents for peace of mind. We offer these products from the widest range of insurers rather than just a single company so we can get the right cover at the right price - be careful of mortgage brokers who are tied to a 'single' insurance company as that insurance company could be very expensive compared to others available. 7. What if I have a poor credit history? It depends what you mean by that. If you have missed some payments on a mobile phone account or similar then it may not be too much of a problem but if you have had mortgage arrears, been bankrupt, repossessed, defaulted, or have CCJ's (County Court Judgements) then your options will be significantly more limited and you may even be excluded from getting a mortgage at this point in time. Get a copy of your credit report from Experian, Equifax or any of the other credit reference agencies and then give us a call to explore your circumstances and options. 8. Buy direct from your bank or go to a mortgage broker? Many people will automatically go to their own bank when they need a mortgage rather than speak to a mortgage broker. This could be a costly mistake for a number of reasons. We compare deals across the widest range of lenders and show you why a particular deal might be better for you. Your bank can only advise on their own mortgages and may not offer the best mortgage for you or their lending criteria may not fit with your individual circumstances. It's not just about picking a headline mortgage rate but about matching you to the right lender and mortgage deal so that we get the best outcome for you. We liase with your estate agent, your solicitor, your mortgage lender and you to ensure that the process runs smoothly from start to finish. We are accountable to the Financial Conduct Authority and the Financial Ombudsman for the advice which we give and are professionally qualified to provide you with the best advice. 'Contact us' to discuss your needs and get the right solution.